James Hiram "J.D." 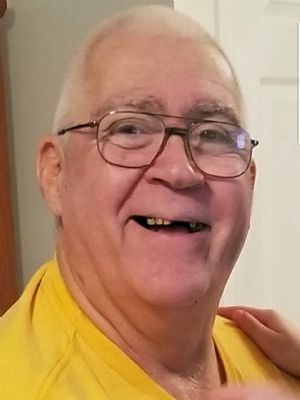 Doane, 71, Lancaster formerly of Du Bois, PA, went home to be with the Lord on Wednesday, March 13, 2019. Born in Brookville, PA, he was the son of the late Hiram and Etta Rose (Lindemuth) Doane. J.D. worked as a parts handler for American LaFrance, Ephrata, and earlier for J.A. Kohlhepp's True Value, Du Bois. He attended Victory Church, Lancaster and enjoyed fishing, hunting and writing. Mr. Doane was a U.S. Army Veteran of the Vietnam War. J.D. is survived by his loving spouse of 51 years, Karen (Laukitis) Doane; three sons, Michael Doane, Leola, Jamy married to Lynda Doane, Lancaster, Robert married to Lee Ann Doane, Marietta; daughter, Lisa married to Dave Woerner, Salunga; 12 grandchildren; 9 great-grandchildren; siblings, Rose married to Don Huey, Ron married to Barb Doane, Dennis Doane; Anna Mae Longenecker, sister-in-law, Sheila Doane. Brother, Wayne preceded him in death. Memorial Service: Saturday, March 23, 2019, 11:00 am at the Smithtown Community Church, Falls Creek, PA. A luncheon will follow the service in the social hall. Interment of Ashes: Monday, March 25, 2019 at 3:00 pm at the Fort Indiantown Gap National Cemetery, Annville, PA.